The Roosevelt University community is invited to the following Earth Week events and activities held in Schaumburg. You can help make the NW suburbs more sustainable and our suburban campus more beautiful and ecologically productive! Thursday, April 24, 1 p.m. Tree Planting: Please join the Schaumburg Campus community in the annual tree planting ceremony on the north east lawn. This event helps support our Tree Campus USA membership. 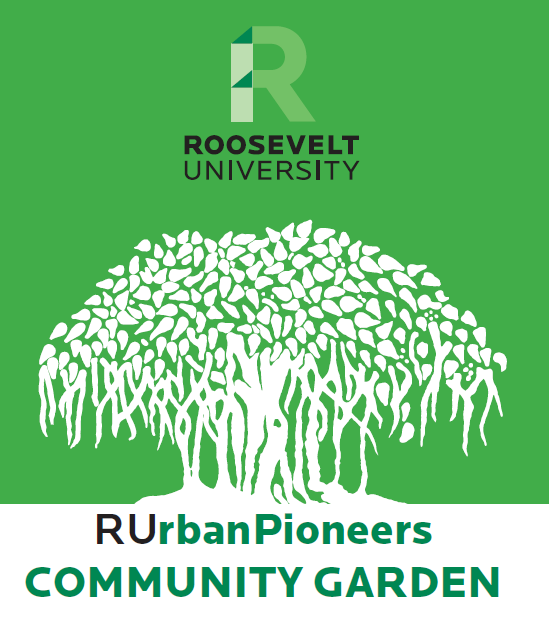 Saturday, April 26, 10 a.m. Community Garden Kickoff: Come out and help with the opening of the RUrbanPioneers community garden. This is the perfect opportunity to get out of the house and welcome spring by enjoying the fresh air. This will be the 3rd season of our garden, which supplied the Food4You dining center with 800 lbs of fresh produce last year, and which donated 100 lbs of veggies to the Hanover Park Food Pantry. An eWaste box located on the shipping dock is available to dispose old electronics, batteries, etc. The Earth will thank you for diverting these items from a landfill! Environmental sustainability activities at the Schaumburg Campus are being managed by Kevin Markowski (kmarkowski@roosevelt.edu), Physical Resources Student Worker and Environmental Sustainability Associate. 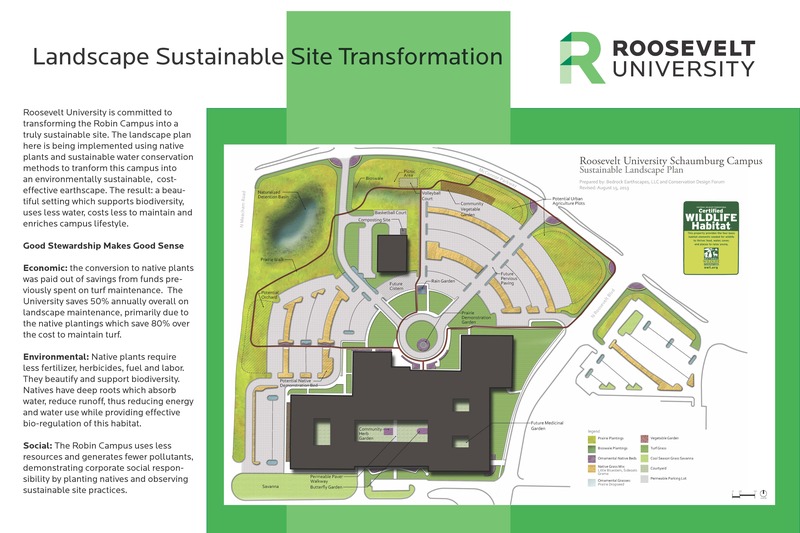 SUST major and sustainability intern MaryBeth Radeck designed the RUrbanPioneers logo and wrote the copy on the above landscape planning map for the Schaumburg Campus in 2013. This entry was posted in activities, community, education, events, food, Roosevelt, service, students, suburbs. Bookmark the permalink.